Figure 4-6. Laying Out Tent Framing. Figure 4-5. Opening Shop Set Rear Doors and Panels. Figure 4-7. 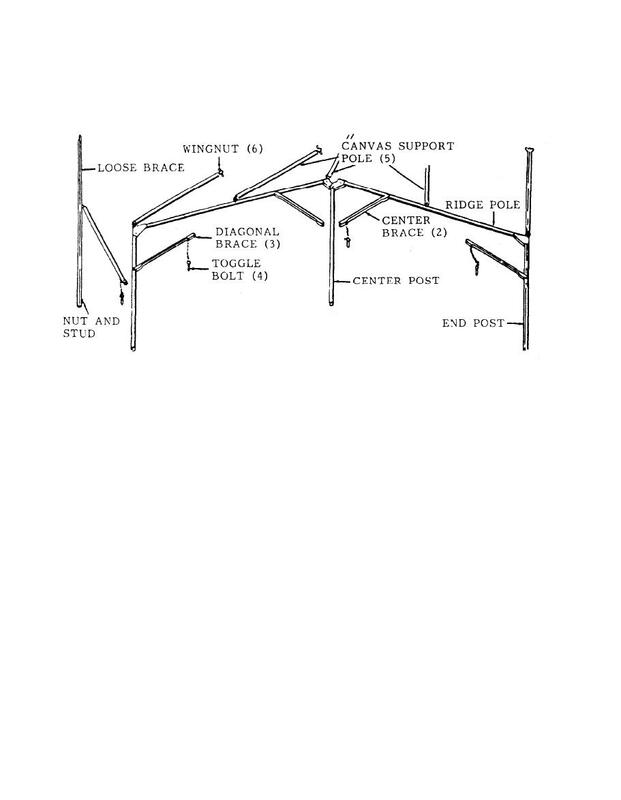 Erecting Tent Framing (Sheet 1 of 2). TOP OF THE REAR END POST AND SECURE WITH WING NUT. MUST ALWAYS BE INSTALLED ON THE REAR OF TENT FRAME.